To apply for this position, please submit a letter of interest and resume to jobs@americanprairie.org. American Prairie Reserve is an Equal Opportunity Employer. WORK PERK: An extraordinary opportunity to learn about an ambitious, unique and complex conservation project from the inside. This job description is not designed to cover or contain a comprehensive list of activities, duties or responsibilities required of the employee. Employees are expected to be responsible for and assist with additional tasks and duties as needed. Job descriptions may change to meet the business needs of the organization. Service Wild Sky camera traps; ensure all cameras are in working order and checked regularly, download data, replace batteries, and use mobile applications to track progress and keep notes. Assist Wildlife Restoration Manager to install and maintain wildlife monitoring technology on Wild Sky ranches. Report back to Wildlife Restoration Manager regularly. Assist in developing and maintaining efficient strategies for completion of monitoring. Provide technical assistance to Wild Sky ranchers. Assist with third party evaluations of Wild Sky ranches. Maintain a high level of professionalism while working on private lands, including maintaining good communication with Wild Sky ranchers/ranch managers. Manage camera trap photo database; ensure all data is stored properly and backed-up. Accurately sort camera trap photos through the use of specialized software (e.g., eMammal). Coordinate with collaborating database managers (e.g., eMammal) as necessary. Maintain a high level of professionalism while working in American Prairie Reserve's Lewistown office. 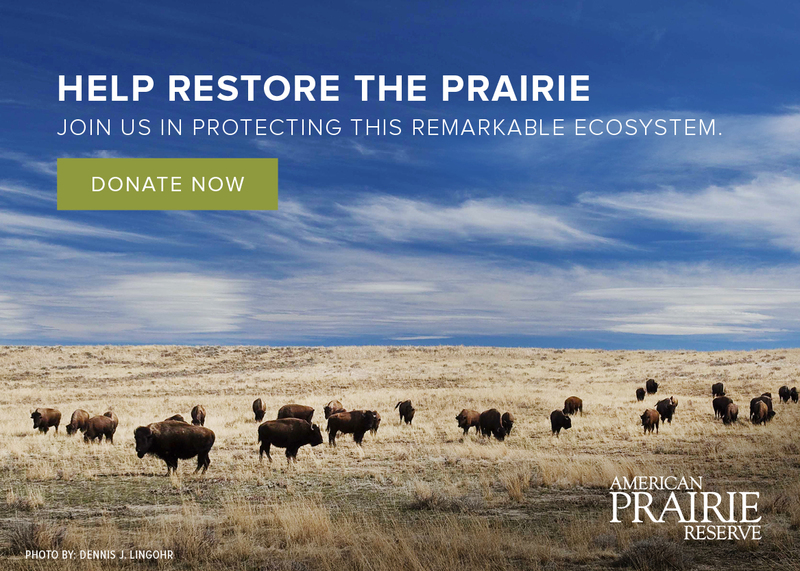 Enthusiasm for and positive representation of American Prairie Reserve’s mission, values, goals and culture. 1-2 years of related job experience. Ability to work with a great deal of autonomy; including working independently without supervision. Ability to appropriately handle confidential and sensitive information with a high degree of discretion. Ability drive frequently from Lewistown office base to several work locations including on poorly maintained roads and in various weather conditions. Ability to travel safety on foot in the backcountry while carrying up to 50 pounds. Proactive and motivated work ethic with a high degree of initiative. Confident and adaptable with sound judgment. First Aid & CPR certified (certification provided after hire if needed). ATV training provided after hire. Strong technical and non-technical written and oral communication skills. Bachelor of Science in related area of study. Savvy interpersonal skills to build and maintain collaborative and productive relationships. EXTENUATING WORKING CONDITIONS: Role requires physically laborious work and exertion in variable and extreme weather conditions, at remote and isolated locations, on difficult and hazardous terrain. American Prairie Reserve reserves the right to verify previous employment and other information provided by a candidate. If a candidate provides false information, an offer for employment may be rescinded.